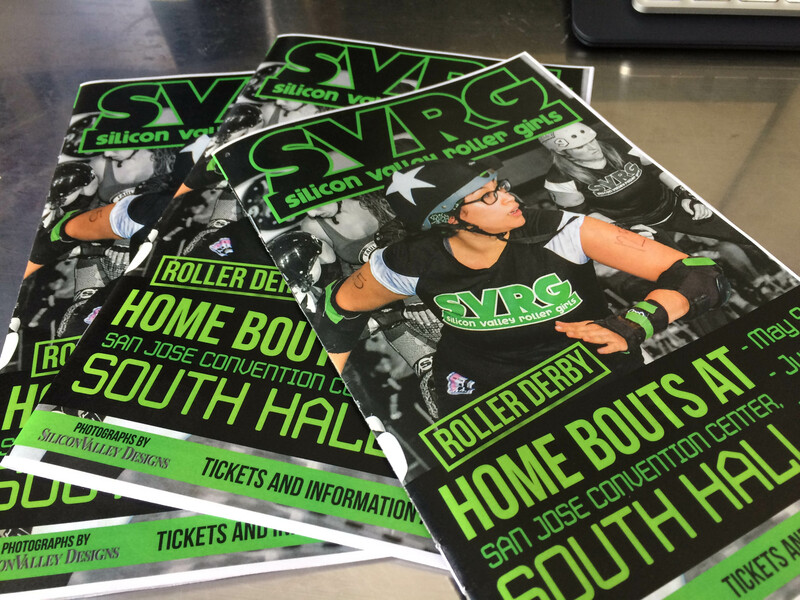 Ad Space in 2016 Bout Programs Now Available! Interested in advertising with SVRG? Consider placing an ad in our 2016 bout program! Our bouts attract hundreds of Silicon Valley residents, and since our programs last the entire season, every home game your ad will get hundreds of new and repeat views. Silicon Valley Roller Girls is a 501©3 nonprofit roller derby league operating in San Jose, CA since 2007. As a nonprofit organization we rely on the generosity of our sponsors, fans and donors to keep the league running. 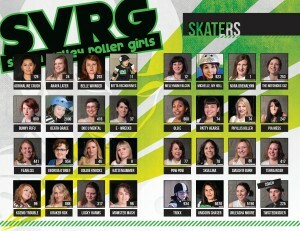 Contributions provide SVRG the opportunity to travel, buy uniforms, rink time, equipment and other expenses. We are dedicated to the athleticism and empowerment of all our athletes. We promote fitness and healthy living to our surrounding community. Becoming a sponsor is an opportunity to participate in improving the programs that have sustained our league in Silicon Valley for over 8 years. In addition to our commitment to athleticism, SVRG is dedicated to bettering our local community. In 2015 alone our skaters and staff collectively volunteered over one hundred hours gardening HaTikvah House, painting a home for Habitat for Humanity, donating blood, visting young girls at Athena Camps and inspiring them to explore their athletic ambitions, and much more. We are currently only selling quarter page ads. If you are interested in something larger, please contact art@svrollergirls.com for more details. If you are interested in more ways your business can support your local roller derby team, please reach out to sponsorship@svrollergirls.com to discuss further sponsorship opportunities.